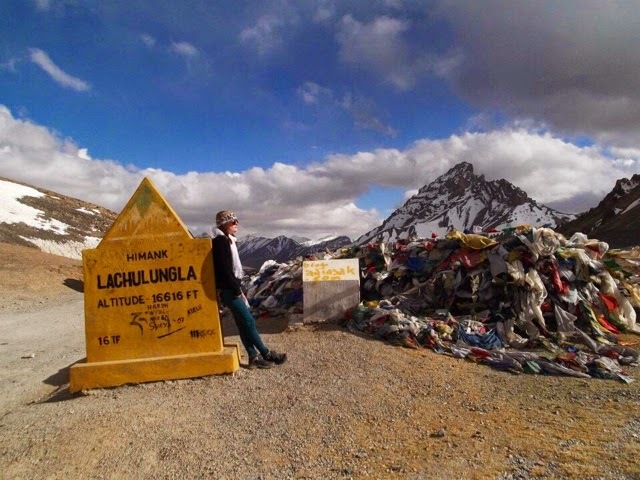 After renting motorcycles and riding around Leh and the surrounding area and after renting a jeep to take us up to the highest motorable road in the world Khardung La, which claims to be over 18,300 ft, we rented a jeep and headed across the famous Leh to Manali route. 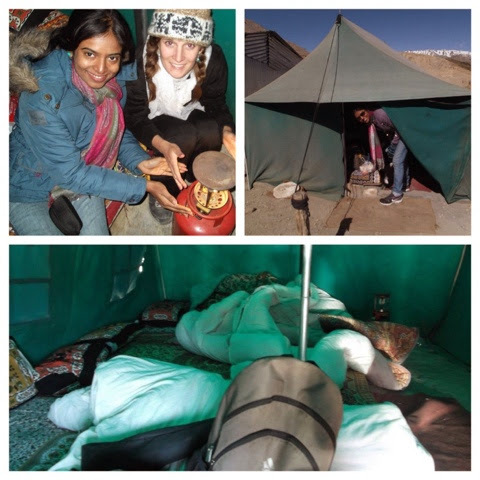 We started by renting a jeep in Leh from one of the various agencies. There are many different kinds of jeep ranging in quality, we ended up renting a jeep for about $25/ person. This included the entire two day trip with driver. Since we were five we did not have to wait for other travelers to add on, although this is an issue you must face if you decide to travel alone or in pairs. The drivers will not leave until the jeep is totally full, or you paid for the jeep outright. 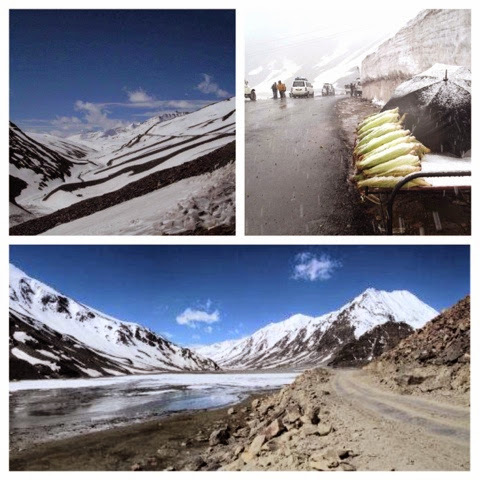 The Leh to Manali route takes you over various high passes, along dangerously narrow roads skirted by steep deadly cliffs. This adventure is not for the light stomached, even my friends had a rough time with the altitude and the nauseating windy roads and never ending precipices. The first day you traverse across the highest passes, but for me it was no problem due to my acclimation in Nepal only a week before. 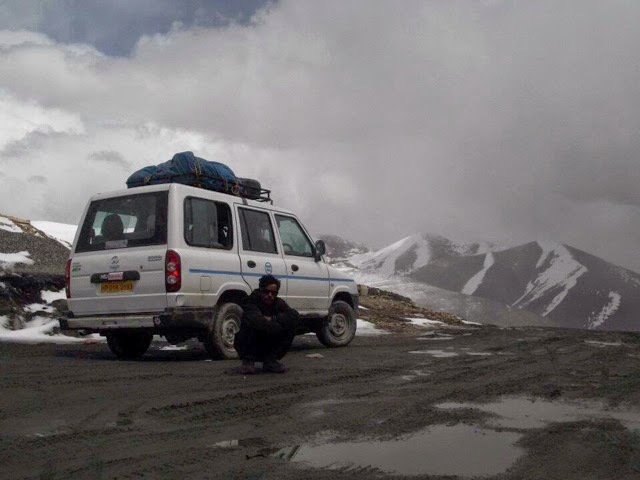 If you can make it up to Khardung La from Leh then you will be fine from Leh to Manali. Many people travel the opposite way from Manali to Leh. This is much better than just outright flying to Leh. It gives you 2 days to acclimate to the altitude. The first night we stopped to eat at collection of parachute tents on the side of the road. They offered hot maggis, egg curry and rice. The accommodations for sleeping are various and depend on your group and budget. Just down the road they had nice plots of well organized tents with showers and bathrooms, which were pretty expensive. Grouped in with the parachute diners there were individual small basic tents, with only a mat and piles of blankets, these can be rented for 250-300INR ($5-6) which meant only 50 INR for each of us. There were no bathrooms only the great outdoors, and no showers, but really who is going to take a shower in below freezing temperatures? The last accommodation is actually inside the parachute diners. This is about 50 INR per person, this is the cheapest for solo and couple travelers. One recommendation for the tents is to check all the zippers, the main one for the door and the ones for the windows. It gets really cold at night, and since its in a valley it also gets quite windy. The next morning we woke up early all snuggling together under heaps of random questionable blankets. We had some breakfast and jumped back into the jeep. The route is very beautiful, you are constantly surrounded by huge mountains, ice fields, yaks and toward the end lots of green fields. We passed few cars, mainly we passed huge wooden trucks, and if you have seen IRT: Deadliest Roads in the World, you know what I mean by pass. I you have not seen IRT then I will explain. We slowly inched our way past these trucks teetering on the edge of deadly cliffs. After many stops, tons of pictures, and lots of breath holding we finally arrived to Manali. Manali is beautiful. Its in the foothills of the himalayas, when I say foothills its more like footmountains. The bustling town is surrounded by pine forest and is bisected by a rushing river. Everything is walkable and absolutely beautiful. I stayed in the wonderful guesthouse off the road, to get to it you had to walk up a hill and through an orchard. It was an amazing, unfortunately I had to go and get food poisoning, I suggest this is the best place to get food poisoning, it was quiet where I stayed and the views alone was a reason to get up and sit on the deck. The guest house owner was absolutely fantastic and made me toast and delivered it to my room. I also made friends with an Australian guy who was super nice and took care of me. After a speedy recovery thanks to hydration salts and toast, I decided to explore a little. Manali is travel adventure capital in India. It has everything from white water rafting to zorbin (which i rolling down a hill in a clear ball). There are tons of cafes and restaurants catered to travelers, just don't eat the fruit. There are many shops lining the narrow steep dirt roads. In the center of town you can see the magic show or get a bus back to Delhi. If you hike up into the hills through the pine forest you can find Hidimba Devi Temple, a wood temple with beautifully carved doors. 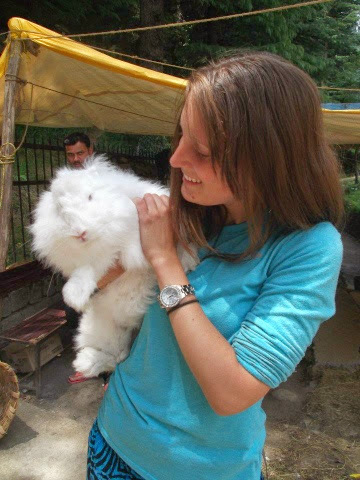 Just outside the temple you can sit on a yak and hold a really fluffy bunny that they use in the area to make cloths (they don't kill the rabbits, they just shave them). After a couple days I headed back to Delhi to meet up with my friend.